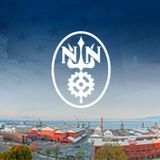 At-a- Glance Founded in 1919 at Newport News Shipbuilding, The Apprentice School offers four- to eight-year apprenticeships in 19 shipbuilding disciplines and eight optional advanced programs of study. The Apprentice School is accredited by the Commission of the Council on Occupational Education and registered with the Virginia Apprenticeship Council. The school affords apprentices the opportunity to receive competitive pay and benefits, earn college credit, learn a trade and develop a lifelong commitment to craftsmanship, scholarship and leadership. Apprentices spend a minimum of 7,000 hours learning a shipbuilding discipline and play an integral role in the construction, maintenance and overhaul of nuclear-powered aircraft carriers and submarines. Apprentices build a strong academic foundation during their completion of the World Class Shipbuilder Curriculum and Trade Related Education Curriculum, complementing on-the-job training in a shipbuilding discipline. Apprentices become leaders as they grow in their commitment to The Apprentice School’s leadership principles of integrity, commitment, improvement, respect, teamwork, empowerment, communication, planning and decision making. The mission of The Apprentice School is: • To contribute to the profitability and growth of Newport News Shipbuilding by recruiting, training and developing men and women for careers in shipbuilding. • To provide the company with a continuous supply of journeypersons who possess the skills, knowledge and pride of workmanship which have traditionally distinguished the shipbuilding craftsman. • To develop core leadership principles in all students along with the character and technical competence that is required to fully meet the challenges of a shipbuilding career. We hold ourselves to a very high standard of performance. We are committed to improving our companyâ&#x20AC;&#x2122;s performance while upholding our strong values. Superior performance and quality ensure future trust and confidence in our products. We promote continuous improvement, innovation and creativity. WASHINGTON KEEL LAYING Welder Apprentice Dustin Utecht participated in the keel laying ceremony for the Washington (SSN 787), the latest Virginia-class submarine to be built at Newport News Shipbuilding. During the ceremony, Utecht welded the initials of the submarine’s sponsor Elisabeth Mabus on a plate to be affixed to the ship’s keel. Utecht hails from Richland, Washington, and is a participant in The Apprentice School’s Advanced Shipyard Operations Curriculum, one of the school’s optional advanced programs. CATAPULT WELDING Welder Craft Instructor Vernon Eason and his apprentice crew, including Welder Apprentice James Childers, completed the challenging job of welding the catapult troughs on the USS Abraham Lincoln (CVN 72) during the aircraft carrier’s Refueling and Complex Overhaul. The crew welded more than 16,000 holes, the equivalent of a oneeighth-inch weld bead more than 250 miles long, and only one minor injury was sustained during the 10-month job. Eason streamlined the process and positioned equipment for his crew to work safely and efficiently, minimizing the overall effect on the catapult schedule. EXOTHERMIC WELDING Electrician Apprentices Nicholas Sarcone, Joseph Cole and Matthew Shahlamian, Electrician Craft Instructor Paul Newton (left to right) and Electrician Apprentice James Conti were the first Newport News Shipbuilding employees to obtain an exothermic welding qualification, and they began performing production welds in May. Exothermic welding, a highly specialized welding process and critical qualification, supports the Electromagnetic Launch System of the Gerald R. Ford (CVN 78). MAKE-UP FOREMAN Welding Equipment Repair Apprentice Joshua Connly demonstrated exceptional initiative as a make-up foreman during a Welding Equipment Integration rotation. With the assistance of a welding equipment repair mechanic, Connly discovered welding lines on a new equipment rack were generating large magnetic fields, causing adjacent connectors to move and shut down. Connly worked diligently with vendors to resolve the issue and prevent disruptions to production. “MODULE OF EXCELLENCE” Welder Craft Instructor Kendall Ridenour and his apprentice crew, including Welder Apprentice Ben Benavides-Evans (left), were among shipbuilders working on the Virginia-class submarine Washington (SSN 787) to receive the first “Module of Excellence” award. The monthly award distributed by the Virginia-Class Submarine Safety Task Team recognizes crews that exemplify safety, cleanliness and line control on VCS submarine modules under construction. Director, VCS Construction/Facilities, Bob Meyer awarded the crew a banner to hang in their work area in acknowledgment of their efforts to promote a cleaner, safer workplace. CVN 78 SAFETY SLOGAN The crew of Electrician Craft Instructor Ken Logan was chosen as one of two winners of the Gerald R. Ford (CVN 78) Safety Slogan Contest. “Safety is always aboard the Gerald R. Ford” was the winning slogan developed by Electrician Apprentice Courtney Phaup. Logan, Phaup and their crew received jackets for their contribution to Newport News Shipbuilding’s ongoing efforts to promote workplace safety. IMPROVED MOUNTING METHOD At the request of Industrial Engineer Stan Reams, Electrician Apprentice Josh Hasty (pictured) demonstrated an improved equipment mounting method to be used by multiple trades at the shipyard. During the demonstration, Hasty was responsible for everything from setting up the stud machine to shooting the studs. The new method uses standoff studs instead of welded clips or chalks to mount electrical panels and will significantly reduce costs and improve efficiency. CAREER PLANNING Welder Apprentices Robb Borowicz and Mason Karafa were featured in an article published in the 2015 edition of R U College & Career Ready? magazine, a publication distributed to Virginia high school sophomores to use as they begin setting their postsecondary education and career goals. The article describes the growing job prospects for manufacturing careers and profiles Borowicz and Karafa. Before their apprenticeship, they attended T. H. Badger Technical Center in Onley, Virginia, and competed in SkillsUSA welding competitions, making The Apprentice School an ideal beginning to their shipbuilding careers. OPERATIONS FINANCE ROTATION Sheet Metal Worker Apprentice Jessica Barber (pictured working in Newport News Shipbuilding’s Sail Loft) brought her waterfront experience to a special rotation in the company’s Operations Finance department. During the rotation, Barber created a program to compile and verify charges for the Sheet Metal Component Fabrication and Assembly program. At the conclusion of the rotation, Barber was recognized for her strong work ethic, selfdiscipline and professionalism by Manager, Operations Finance, Taylor Morgan. CiWP TEAM Non-destructive Test Inspector Apprentice Francisco Sisneros was chosen to serve on a Common integrated Work Package Team tasked with utilizing a touch screen tablet to perform real-time inspection sign-off at the worksite. Making connections between his work in the classroom and on the waterfront, Sisneros explored his team’s project for a problemsolving research assignment in his World Class Shipbuilder Curriculum communications course. Sisneros demonstrated the touch screen tablet’s capability for Newport News Shipbuilding senior management, further drawing on his coursework to plan and deliver the demonstrations with confidence. TRADE SHOW DISPLAYS Sheet Metal Worker Apprentices Nate Dolan, Arynn Easom, Capres Amory and Dale Blankenship (left to right) were among team members chosen by Sheet Metal Worker Craft Instructor Steve Norman (far right) to develop trade show displays for Newport News Shipbuildingâ&#x20AC;&#x2122;s Technology Development department. The design and construction of the displays, which made their debut at the Submarine Technology Symposium in Baltimore, Maryland, reflects the inherent precision and artistry of the sheet metal trade. CONNECTICUT MODIFICATION Rigger Craft Instructor Jarrod Burke, Riggers Garon Johnson, Glen Jones, Derrick Daughtry and Xavier Towns and Rigger Apprentices Jeremy Bradley and Daniel Sheridan traveled to Seattle, Wash., to move new electronic equipment necessary to complete modifications to the USS Connecticut (SSN 22), a Seawolf-class submarine. Sheridan developed a sled with Teflon coated runners to move equipment that weighed up to 2,000 pounds. The team refined the tool, enabling more than 80 pieces of equipment to be moved through the submarine without accident or injury. CiWP PRODUCT DEVELOPMENT Using the skills they learned during The Apprentice School Leadership Experience at the College of William & Mary, Sheet Metal Foreman Chris Spanos, Welder Craft Instructor Andrew Balarabe and Coatings Specialist Craft Instructor Van Gentry (left to right) are leaders in their trade and on the Common integrated Work Package Team.Â They are graduates of the schoolâ&#x20AC;&#x2122;s Advanced Shipyard Operations Curriculum optional advanced program and are 3 of the 15 Apprentice School graduates on the team developing CiWP products to provide clear instructions and increase consistency on the deck plate. FRONTLINE FAST On Dec. 15, The Apprentice School hosted a completion ceremony for the 23 apprentices who form the inaugural cohort of Frontline FAST (Foreman Accelerated Skills Training), the schoolâ&#x20AC;&#x2122;s premier leadership development program. The 16-month program uses a blended approach of craft competencies, leadership practices and coaching to develop high performing apprentices for frontline supervisor positions. 10,000TH GRADUATE Dimensional Control Technician Sara Ruggles is The Apprentice Schoolâ&#x20AC;&#x2122;s 10,000th graduate. Ruggles began her shipbuilding career as a pipefitter apprentice. Because of her excellent job performance and academic record, Ruggles was selected to participate in the Advanced Shipyard Operations Curriculum, one of The Apprentice Schoolâ&#x20AC;&#x2122;s optional advanced programs. Additionally, Ruggles was selected for a Tiger Team trip to Groton, Connecticut, where she and Metrology Technician Joe Schiavone mapped the as-built conditions of the USS Hartford (SSN 768), a Los-Angelesclass submarine. CHARLES D. HOUDASHELL SR. SCHOLARSHIP Welder Andrew Kunk (Class of 2011) was the 2014-2015 recipient of the Charles D. Houdashell Sr. Memorial Scholarship. Kunk is a full-time employee of Newport News Shipbuilding and a full-time student at Christopher Newport University, where he is pursuing a bachelorâ&#x20AC;&#x2122;s degree in business administration. Given in memory of Charles D. Houdashell Sr. (Class of 1975), the scholarship is awarded to a graduate of the Apprentice School who is continuing his or her education at CNU. NBPI PAINT INSPECTOR CERTIFICATION Coatings Specialist Apprentices Heather Kenning (pictured) and LaShonda Newsome passed the Navy Basic Paint Inspector exam and are certified to inspect critical coated areas on naval vessels. The five-day NBPI course included instruction in conducting post-blast and presurface preparation coatings inspections and culminated in two multiple choice exams and a practical exam using inspection instruments. Kenning and Newsomeâ&#x20AC;&#x2122;s experience applying trade theory in a shipbuilding production environment made them especially well prepared for success in the NBPI course. SNAME BOAT DESIGN COMPETITION April 26 marked The Apprentice School’s Student Section of the Society of Naval Architects and Marine Engineers 7th Annual Boat Design Competition. Twentynine teams from 18 Virginia high schools competed for four finalist positions. Recent graduate Sheet Metal Worker Linwood Joyner Jr. and Sheet Metal Worker Apprectice Dezmond Kee (left to right) were among apprentices who fabricated finalists’ boats. The vessels were raced in Lake Maury, located in Newport News, Virginia. Team About Time, one of two teams representing Jamestown High School, won the competition. SEN. KAINE’S TOUR Newport News Shipbuilding President and CEO Matt Mulherin, Vice President, Operations, Danny Hunley and Director, Education, Everett Jordan hosted Sen. Tim Kaine, D-Va., for an Aug. 27 tour of The Apprentice School and discussion about Career and Technical Education. During the visit, Hunley, Jordan and Kaine (left to right) spoke with apprentices about the educational and professional opportunities available to apprentices, the rigor of The Apprentice School’s registered apprenticeship programs and the value of CTE. SME/RAPID CONFERENCE Marine Designer Apprentice Daniel Chance (pictured) and Professional Development Program and Marine Engineer Apprentice Angel DeGuzman attended the annual Society of Manufacturing Engineers/ RAPID conference in Detroit, Mich. Chance and DeGuzman are president and vice president, respectively, of The Apprentice School’s SME student chapter. Paul Norton, engineering technician and one of two SME chapter advisors, also attended the June 9-12 conference. The conference focused on advancements in engineering, emphasizing the field of 3-D printing and its use in different manufacturing processes. TOURING THE FERRY FLEET Nuclear Designer Apprentices Dat Luong and Andrew Hathaway, Dimensional Control Technician Apprentice Ryan Saloka, Virginia Department of Transportation Facility Manager G. Wes Ripley, Outside Machinist Apprentice Ricardo Palacios and Shipfitter Apprentice Calvin Warner (left to right) toured the Virginia, one of four ferries in the Jamestown-Scotland Ferry fleet. Apprentices applied information from the tour and their naval architecture coursework to design a diesel-electric monohull ferry and entered the design in the Worldwide Ferry Associationâ&#x20AC;&#x2122;s 2014 International Student Design Competition for Safe Affordable Ferries. NATIONAL ATE CONFERENCE The Apprentice School was well represented at the American Association of Community Collegeâ&#x20AC;&#x2122;s 21st National Advanced Technological Education Principal Investigators Conference, held October 2014 in Washington, D.C. During the conference, College/ University Program Liaison Todd Estes (right) participated in an industry roundtable and a panel about registered apprenticeship. Modeling and Simulation Analyst Apprentice Jeremy Hancock (left), who also represented Tidewater Community College, was recognized as a student scholar and manned a booth where he shared information about the opportunities available at The Apprentice School. VAAA SCHOLARSHIP Non-Destructive Test Inspector Gary Garner (third from right), a 2014 alumnus of The Apprentice School, received a Virginia Apprenticeship Alumni Association scholarship to continue his education. Garner is pursuing a masterâ&#x20AC;&#x2122;s degree in architecture from Hampton University. During an Oct. 1 visit to The Apprentice School, HU deans Eric J. Sheppard and Almarie E. Munley; VAAA President Norris Williams (left to right); and HU Academic Coordinator Tunisha George-Twine and HU Director, Accelerated Learning, Quentin B. Jackson (second from right and far right, respectively) recognized Garnerâ&#x20AC;&#x2122;s achievement. WIATT MEMORIAL SCHOLARSHIP Bryan Smith, a welder graduate and member of the Class of 2012, received BayPort Credit Union’s Wiatt Memorial Scholarship, a $1,500 scholarship for a graduate of The Apprentice School who is pursuing a postsecondary degree and currently employed by Newport News Shipbuilding or on educational leave from the company. Smith, an honors graduate of The Apprentice School, used the funds to begin a bachelor’s degree in mechanical engineering at Old Dominion University. MODEL DESIGN COMPETITION Electrician Apprentice Michael Fahy and Modeling & Simulation Analyst Apprentices Josh Dean, Chris Herman and Brad Joslin traveled to Indianapolis, Indiana, to compete in the June 15-18 American Society for Engineering Education Model Design Competition. The competition required teams to build robots capable of detecting and navigating around wooden obstacles while racing around an oval track during four 60-second time trials. TRAINING SPECIAL ROTATION Rigger Apprentice Brandon Mosher completed a special rotation as a Production & Maintenance Skills Training instructor. The rotation required Mosher to work during the second shift, a departure from the usual first shift work schedule of apprentices, to help the Waterfront Support Services department address a training backlog. Serving as a training instructor during an apprenticeship is a unique opportunity, and Mosher gained valuable training experience and a broadened perspective of the training process. SEA-AIR-SPACE EXPOSITION Marine Designer Apprentice Robert Page participated in the Navy League’s April 7-9 Sea-Air-Space Exposition in National Harbor, Maryland. With the guidance of representatives from Newport News Shipbuilding’s Technology Development department, Page demonstrated a portion of the shipyard’s augmented reality project. The project uses digital overlay of imagery to support production, training, maintenance and operations, and improve safety, quality, cost and schedule. GRADUATION Homer L. Ferguson Award winner and Patternmaker Tim Owens delivered the valedictory address during the commencement exercises for the Class of 2013. The award is named for the founder of The Apprentice School and is bestowed upon the graduate with the highest combined craft and required academics grade point average. COMMENCEMENT SPEAKER Newport News Shipbuilding Vice President, Operations, Danny Hunley delivered the commencement address. A member of the Class of 1977, Hunley shared lessons learned during his career and encouraged the 137 members of the Class of 2013 to always remember the importance of their work as shipbuilders. Professional Development Program FORMALIZING THE PROGRAM Newport News Shipbuilding and The Apprentice School hosted representatives from Old Dominion University for an April 23 ceremony to formalize the Professional Development Program. The PDP is a five- to eight-year marine engineer apprenticeship, culminating in a bachelor’s degree in electrical or mechanical engineering from ODU. During the event, Newport News Shipbuilding Vice President, Operations, Danny Hunley (foreground) and ODU President John Broderick signed a memorandum of understanding to commemorate the partnership before a gathering of faculty, staff, PDP apprentices and special guests. Professional Development Program CONSTRUCTION SUPERVISOR ROTATION One of the greatest benefits of the Professional Development Program is the broad but focused work experience marine engineer apprentices receive. While working for USS Abraham Lincoln (CVN 72) Superintendent Gray Milteer during a four-month construction management rotation, Professional Development Program and Marine Engineer Apprentice Jarrod Griffith (pictured) experienced the overhaul requirements of a variety of ship systems and equipment from a construction supervisorâ&#x20AC;&#x2122;s perspective. PDP rotations provide marine engineer apprentices with a practical understanding of the functional relationships across the shipyard and a strong foundation for a successful engineering career. CVN 72 WARRIOR OF THE WEEK Professional Development Program and Marine Engineer Apprentice Angel DeGuzman (center) was honored as the USS Abraham Lincoln (CVN 72) Warrior of the Week. A certificate, plaque and commanding officerâ&#x20AC;&#x2122;s coin were presented to DeGuzman by Capt. Randall Peck, CVN 72 executive officer, and Program Director Bruce Easterson (right) for successfully facilitating agenda progress meetings and providing outstanding contributions to service order request management and compartment completion. LEADERSHIP EXPERIENCE Twenty-three Advanced Shipbuilding Operations Curriculum apprentices attended The Apprentice School Leadership Experience at the College of William & Mary. Beginning May 5, William & Mary business and history professors led apprentices in a series of activities and exercises to enhance their leadership skills. Huntington Ingalls Industries President and CEO Mike Petters (first row, second from right) and Newport News Shipbuilding Superintendent Jerome Thomas were among shipbuilding leaders who shared their leadership experiences with the group. The weeklong experience culminated in a brief to Newport News Shipbuilding Vice President, Operations, Danny Hunley (first row, far left) and Director, Program Production, Joe Dvorak. VERG VOLUNTEER Marine Designer and Professional Development Program Craft Instructor Rick Burgos, who is the director of community involvement for Newport News Shipbuilding’s Veterans Employee Resource Group, coordinated VERG’s efforts to build a raised garden bed at the Hampton Veterans Affairs Medical Center. The raised garden bed, constructed by shipbuilders with materials provided by the Red Cross, allows wheelchair users to fully participate in the medical center’s gardening program. AASA PRESIDENT Sheet Metal Worker Craft Instructor Nishon Carter was elected president of the African-American Shipbuilders Association, one of five Employee Resource Groups at Newport News Shipbuilding. The AASA is committed to promoting cultural awareness and diversity and fostering the career and professional development of AfricanAmerican shipbuilders. During his four-year tenure with the group, Carter has served in a variety of roles, including chair of the Community Outreach Committee and member, secretary and treasurer of the Board of Directors. VETERAN’S DAY GOLF CLASSIC On Nov. 9, The Apprentice School Student Association hosted the 3rd Annual Veteran’s Day Golf Classic in Smithfield, Virginia. More than 140 golfers participated in the tournament at Cypress Creek Golf Club, and $5,550 in proceeds from the event were donated to Aid Our Veterans, a Maryland-based non-profit organization that provides assistance to homeless and unemployed military veterans. Charlene Barrington, ASSA president, and Dawn Hardister, ASSA immediate past vice president (left to right), coordinated the event, and ASSA delegates provided support. PENINSULA HEART WALK Electrician Apprentices Glenn Skinner Jr., Aleshia Jackson and Chelsee Mooring, Heavy Metal Fabricator Joshua Stachura (left to right) and Molder Apprentice Sara Neuberger were among the many shipyard and community volunteers who convened at Peninsula Town Center, located in Hampton, Virginia, to support the Peninsula Heart Walk. Representing The Apprentice School Student Association, apprentice volunteers served popcorn, tie-dyed shirts and demonstrated CPR. Proceeds from the Oct. 18 event benefit the American Heart Association. BOY SCOUT WELDING MERIT BADGE Welder Apprentice Robb Borowicz (right) and Shipfitter Apprentice Anthony Stewart (not pictured) traveled to Driver, Virginia, to help Boy Scouts complete the requirements to earn their welding merit badge. Borowicz and Stewart, both Eagle Scouts, eagerly combined their shipbuilding and scouting experience to teach members of Boy Scout Troop 16 about various welding processes and how to weld different types of weld joints. Fourteen Boy Scouts, ages 12 to 18, participated in the daylong event. 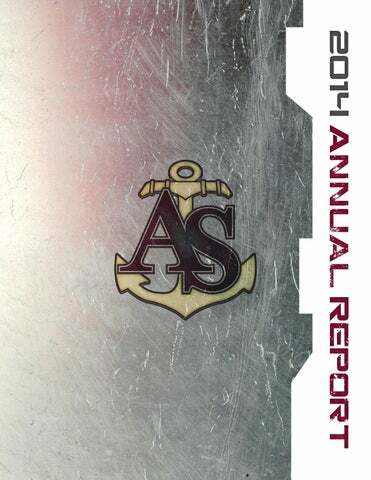 MODELS OF EXCELLENCE 2014 was a banner year for The Apprentice School and Model of Excellence awards, Newport News Shipbuildingâ&#x20AC;&#x2122;s highest honor. Six shipbuilders affiliated with The Apprentice School received MOE awards for leadership and operational excellence. Manager, Admissions and Student Services, Dan Brookman; recent graduate Production Planner Nathan McInnis; Non-destructive Test Inspector Apprentice Nathan Kramer; recent graduates Shipfitters Ryan Sparks and John Thompson; and recent graduate Foreman, Structual Fabrication & Assembly, Jeffrey Gravely (left to right) were among 123 MOE award recipients honored during a Sept. 18 ceremony. TRADES ADMINISTRATION SPECIAL ROTATION During a special rotation in Sheet Metal Trades Administration, Sheet Metal Worker Apprentice Michael Wilson completed training in Newport News Shipbuilding’s Opportunity for Improvement database, which catalogs shipbuilders’ suggestions for improvement, and began clearing the backlog of OFIs that had remained unresolved during the past few years. Within eight weeks, Wilson resolved 144 of 172 delinquent OFIs. He received an Employee Recognition Program award for his contributions to the continuous improvement of the Sheet Metal department. FRONTLINE FAST PROMOTIONS Coatings Specialist Craft Instructor Matt Gular, pictured with Coatings Specialist Apprentice Christopher Brimley, and Maintenance Electrician Craft Instructor Brittanie Herriott were the first Frontline FAST (Foreman Accelerated Skills Training) participants to be promoted to supervisor positions after completing the program. Gular and Herriott are members of the Class of 2014, completed the Advanced Shipyard Operations Curriculum and were members of the inaugural Frontline FAST cohort. NATIONAL MANUFACTURING DAY The Apprentice School joined the Association for Manufacturing Excellence and was designated a showcase program, representing best in practice apprenticeship programs in the United States. In collaboration with Newport News Shipbuildingâ&#x20AC;&#x2122;s Career Pathways, Manufacturing, Trades Training and Talent Acquisition, the school supported AMEâ&#x20AC;&#x2122;s National Manufacturing Day on Oct. 3. Shipbuilders, including Product Trainer Kimberly Jarvis (left), gave shipyard tours to local guidance counselors and shared information about manufacturing careers during the event. 2014 BASEBALL The baseball team finished the year with a 28-14 record and took third place in the United States Collegiate Athletic Association Small College World Series in Illinois. The 28 wins marked the sixth straight year that the Builders finished a season with at least 25 wins. Eight Builders were named to the USCAA All-Academic team, and four more were named to the USCAA All-American teams. 2014 FOOTBALL Under first-year Head Coach Paul White (center), the football team improved offense to set several new standards in 2014. The team ran for the most yards in 10 years, threw for the third most yards in school history and had the fifth best completion percentage in school history. Ten players earned All-United States Collegiate Athletic Association honors. 2013-14 MEN’S BASKETBALL Led by Head Coach Franklin Chatman (center, seated), the men’s basketball team finished the year with a 1610 record and advanced to the semifinals of the United States Collegiate Athletic Association Division I National Championships. En route to a third straight bid to the national tournament, the team scored wins over the defending USCAA Champion Rochester College and eventual USCAA Champion Washington Adventist University. 2013-14 WOMEN’S BASKETBALL The women’s basketball team finished with a 22-5 record and advanced to the semifinals of the United States Collegiate Athletic Association Division I National Championships. The team, including Electrician Courtney Collins (center), enjoyed a 12game winning streak during the year and made national highlights with a half-court bank shot to win a road game and earn the second spot on ESPN’s Top 10 Plays on Feb. 2. Electrician Apprentice Kenya Wilkerson was named to the USCAA Honorable Mention All-American team, and recent graduate Maintenance Electrician Craft Instructor Brittanie Herriott was named to the USCAA All-Academic team. 2013-14 GOLF The golf team participated in the prestigious Camp LeJeune Intercollegiate Golf Tournament for the first time in school history and finished sixth in the Scarlet Division. The Builders ended the year by capturing the Glenn Heath Shipbuilders Memorial Tournament for the first time ever. Recent graduate Rigger Ben Hunter (second from right), pictured with Athletic Director Keisha Pexton, Head Coach Joey Maben (left to right) and Assistant Coach BJ Maben (far right), earned the medalist honor, marking the first time a Builder golfer received the award. Hunter also finished his career as a two-time USCAA National Champion, earning the recognition as a freshman and a senior. 2013-14 WRESTLING The wrestling team finished the year with a 19-8 record and an eighth place showing at the National Collegiate Wrestling Association National Championships in Texas. Heavy Metal Fabricator Apprentice Ian Jones (background) earned his third NCWA All-American honor and finished fourth in the heavyweight division at nationals. Jones and Head Coach Bruce Shumaker each earned their 100th wins in the same dual match as the Builders defeated East Tennessee State University in late January. CHEER TEAM AND DRUMLINE The cheer team and drumline were frequent participants in company and athletic events in 2014. They performed halftime shows at home football and basketball games and represented The Apprentice School in local parades during the holidays. DANNY HUNLEY, NEWPORT NEWS SHIPBUILDING VICE PRESIDENT, OPERATIONS (CLASS OF 1977) When Master Shipbuilder and Newport News Shipbuilding Vice President, Operations, Danny Hunley began his shipbuilding career as a welder trainee in 1974, he had no idea he would retire from the company as a vice president, a position to which he was promoted in 2005. Of his success Hunley says, “I kept doing what I was asked to do, and this is where I ended up.” In fact, Hunley succinctly describes his career path as “production and people.” Many of Hunley’s reflections about his 40-year tenure as a shipbuilder have one thing in common: people. About halfway through his career, Hunley says he learned his “real passion was in helping people realize their potential.” He believes in placing people first in business and enjoys creating opportunities and seeing who seizes them. The typical history of the shipbuilding industry is captured in terms of vessels built, rather than the people who made it possible. The “basis of this business is people,” says Hunley, “and shipbuilding is a side effect of leaders who inspire and motivate people.” Hunley firmly believes that to be a first-class shipbuilder, one must be a first-class person, first-class in everything, and he encourages all shipbuilders, including apprentices, to embody this notion. This perspective was nurtured in Hunley from his days as a welder apprentice to his time as vice president, Operations. A proud alumnus of The Apprentice School, Hunley advises current apprentices and recent alumni—the next generation of shipbuilding leaders—to never quit, be mindful that it is more important who knows you than who you know and remember that there is no job more important than the one you have now.